Adventure Hub Nepal are always looking for new and young talent to join our team. Do you have what it takes to come and work on trekking trips and rivers journeys? Travel around Nepal? Would you like to learn about Trekking, White-water Rafting and Kayaking amongst other skills? Then contact us today to see what training we offer for you to join our team. Adventure Hub Nepal are currently looking for two trainees to join our team in Nepal and be based in Pokhara or Kathmandu. You will work closely with the team we already have in placed there. Responsibilities will include day to day running of the office, answering the phone, dealing with enquiries, local marketing, generating trips and meeting and greeting clients. You will be learning skills that will help you be qualified as Raft Guide / Gear Boat guide / and Kayak Instructor. Currently we are looking for our junior positions from this coming season. These senior guide positions require you to be competent in all major rivers in Nepal in Raft guiding, Gear Boat guiding and some Kayaking experience is preferred. 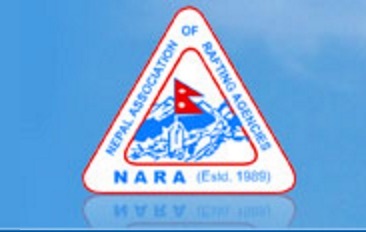 Must have White-water Rescue Technician (WRT) and First Aid Certification and at least 5 years’ experience guiding in Nepal. International experience desired, but not required. All qualifications need to be up to date. Safety Kayakers / Photo / Video boaters / Raft guides and Kayak Instructors. We do take International volunteers during our busy spring and autumn season. You must be a confident Grade IV paddler (on big volume water) and have your own kayak. We prefer that you have been on one of our previous trips with us before you volunteer for us. If you think you've got what it takes to join our team in Nepal, please send us an email with a cover letter about your experience, qualifications and why you would like to join the Adventure Hub Nepal Team. Please apply before the season start which is spring which begins from March and finishes at the end of May. The second season is fall which starts back from September to the end of November.